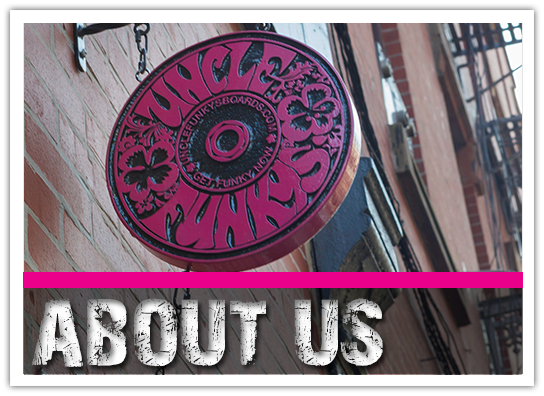 Uncle Funkys is a mom and pop skateboard shop in a basement in Manhattan's West Village. Look for the staircase at the South West corner of Charles Street and Greenwich Street, under the Lotus Salon. We carry all types of skateboards; longboards, street, cruisers, pool/vert, and vintage skateboards along with a wide selection of trucks, wheels, bearings, helmets, pads and apparel. We can customize most complete set-ups with your choice of trucks, wheels and bearings and we also offer all of the components individually. 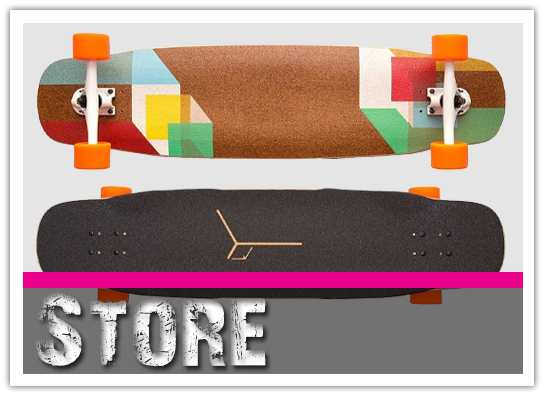 We offer store credit for trade-in's on used complete longboards. Please send an email with photos of the board you wish to trade-in to kristen@unclefunkysboards.com for a quote. We do not offer trade-in quotes in person. We also provide skateboard lessons for skaters at all levels. Please stop by the shop to check out our ever changing collection of vintage and antique skateboards for sale.